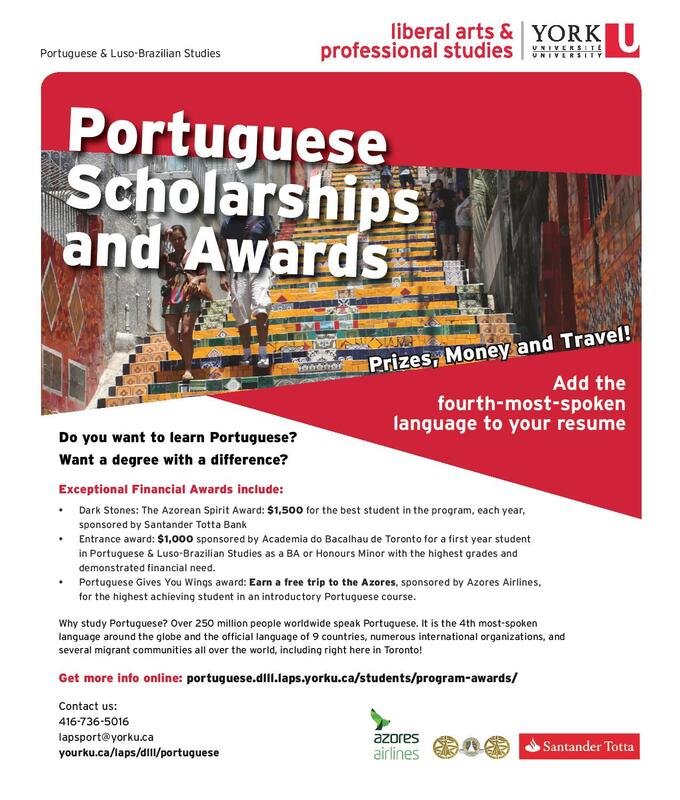 With the sponsorship of Academia do Bacalhau de Toronto, the Portuguese & Luso-Brazilian Studies Entrance Award, created in 2016/17, aims at supporting incoming first-year students at York University who declare Portuguese & Luso-Brazilian Studies either as a BA or an Honours Minor. This award recognizes the incoming program student who holds the highest grade point average in their secondary studies as well as demonstration of financial need. The recipient will receive an award of $1,000.